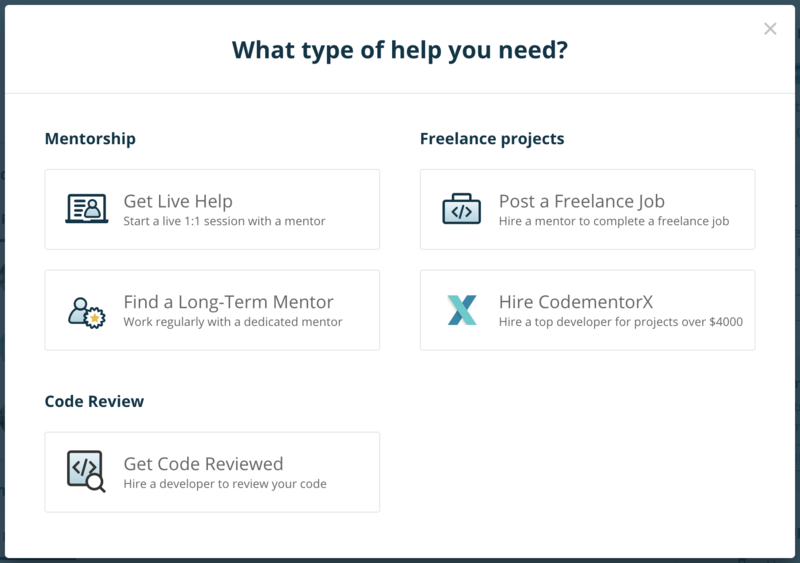 Codementor Support - How do I get help? All Categories ​>​ I&apos;m a User ​>​ Getting Help ​>​ Session or Freelance Job Requests ​>​ How do I get help? Click the Get Help Now button on the top right of your Dashboard. Be sure to describe your request in as much detail as possible. Feel free to find an mentor within your budget and message them directly. To prevent any misunderstandings, you should always message a mentor to describe what you need and discuss your expectations before starting a paid session or posting a freelance job.